Escape on a Croatian adventure before the winter comes! Feel the sun on your back and immerse yourself in all the adventure Croatia can offer in September. Croatia is a paradise for outdoor activity enthusiasts and our last minute multi activity holidays really make the most of this amazing country’s spectacular coastline and natural beauty. This is your chance to explore the islands, the national parks and so much more, with our guided holidays. Priced from 620 euro per person based on sharing twin/double room. Your base for this trip is the stunning island of Lopud, from here you will kayak the Elaphiti Islands shorelines any beyond. Prices include 7 nights HB accommodation, 5 days of guided activities, return airport transfers, instruction, and equipment! Solo travelers are always welcome too! Prices include 7 nights HB, 5 days guided multi activities, all transfers and equipment. If you love the great outdoors and experiencing a variety of activities in one holiday you need to book this break. From kayaking to cycling and more, each day you will enjoy 2-4 hours of activities with our trusty guides and don’t worry, there is no need to have prior experience of any of the activities. We just want you to enjoy the experience! Prices include 7 nights HB, activities, airport transfers, equipment and guides. Discover Dubrovnik, Mljet Island National Park and much more with this guided walking holiday including half board accommodation, guided walks and more! Nothing too strenuous, just a wonderful way to see this stunning area! Experience two countries in one trip- Croatia and Bosnia! Imagine yourself white water rafting? On this trip, you will travel along the beautiful Mreznica river and through Plitvice Lakes National Park to Una River in Bosnia. Experience activities such as hiking, cycling, rafting, and kayaking. You will stay in 3* Hotel on half board basis with transfers from Zagreb or Rijeka airports included. Priced at 620 pp sharing a twin/double room or 744 euro for single travelers. Based in the small picturesque town of Skradin this is another multi activity package that includes everything you need! 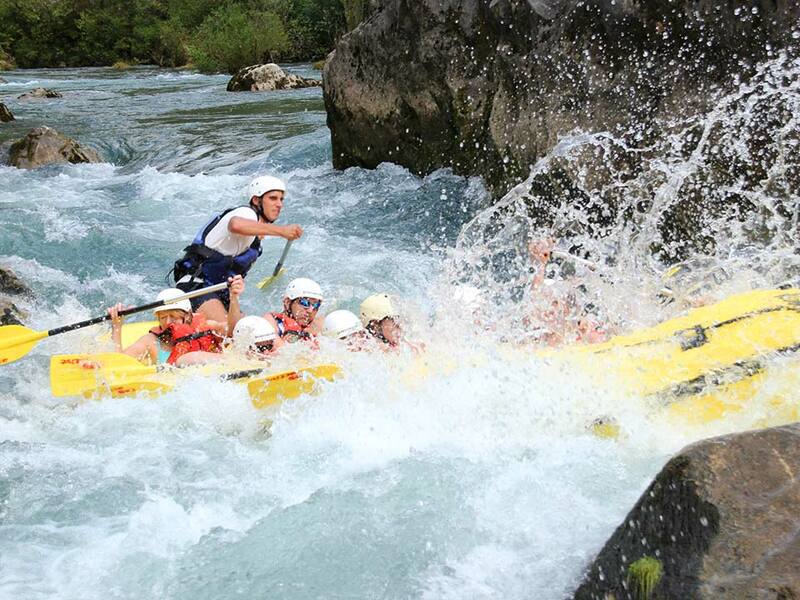 It includes rafting on the Cetina River and kayaking down the Zrmanja River. Also trekking in the Paklenica National Park and cycling in the Krka River National Park. While trekking and cycling, you will pass next to the most beautiful sceneries of karst formations. Kayaking down rapids of exotic river canyons and rafting through jungle-like forests will offer impressive sights as well as refreshment. All prices and offers are subject to availability until the time of booking usual terms and conditions of booking apply.